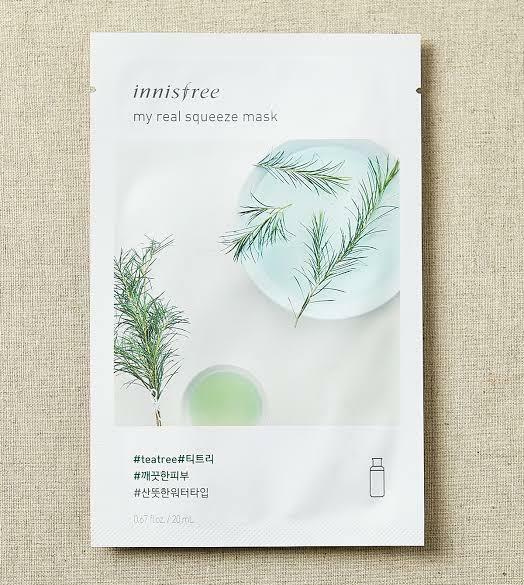 Radiant your Skin Care with the [Innisfree] My Real Squeeze Mask (Tea Tree)! we aim to provide you best korean products to take good care of your skin, including Cosmetics, Masks, Mask Sheet. Hydra Mask Sheet online. 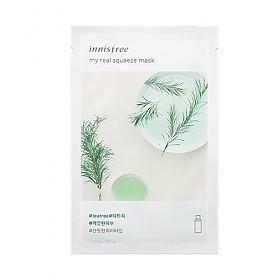 she…@gmail.com Another water-type mask from the Innisfree My Real Squeeze line! I decided to go with this one instead of my usual cream-essence-water sequence because I was having a few angry pimples on my temple. Their old bija was one of my favourites so I was really excited to see if this could replace it... and MIRACLES WERE PERFORMED. The fit of the mask, as usual, wasn’t as good as the old ones, but it wasn’t as bad as some of the others I tried (looking at you, broccoli). There was little to no scent. I left it on for about an hour and removed it when I felt the mask getting dry (but it was still damp, so relax friends – I don’t leave it overnight). Have I said that MIRACLES WERE PERFORMED? 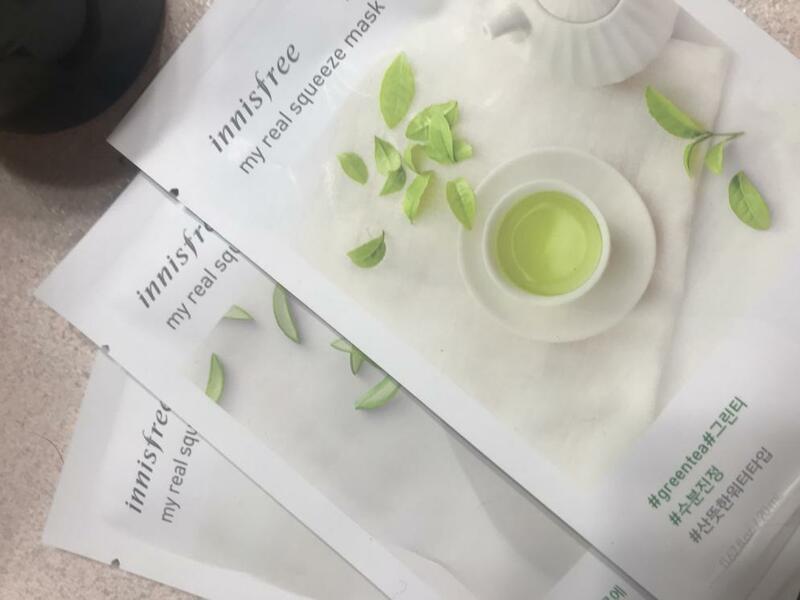 My skin instantly felt pampered, calmer and hydrated. 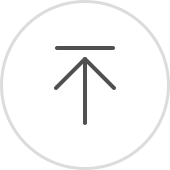 By the next morning, my pimples were flattened and fading. That’s a HG, right there. I applied the leftover essence with my hands over the next few days, but somehow I didn’t feel it to be as effective as when I did the mask. 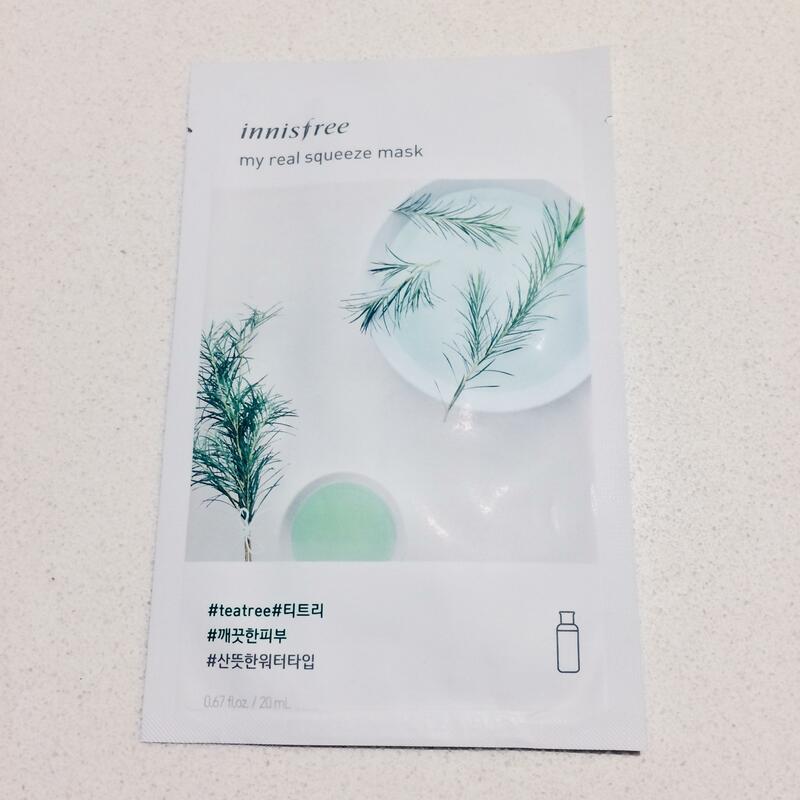 mcp…@ymail.com It's an okay mask but not soothing enough unlike other tea tree masks and I don't like the adherence and fit. It didn't break me out.